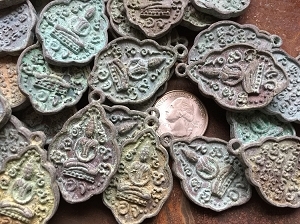 We have collected a small assortment of amulets, holy medals, sacred objects, talismen, milagros and charms that can be used in your shrines or altars. 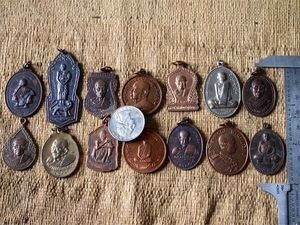 Included in this assortment are authentic Thai Buddhist amulets which have a rich history. 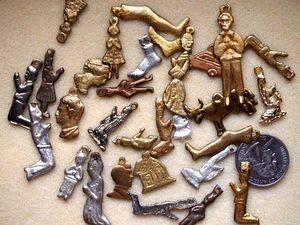 Thai amulets, charms and talismen are made by Buddhist gurus and are worn or carried for various purposes: invulnerability, good luck, fortune, protection from evil, etc. 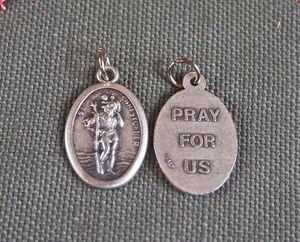 These sacred objects are in some ways comparable to "holy medals" in Catholicism. 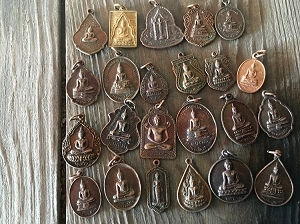 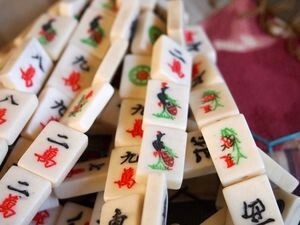 An amulet may represent a famous Buddha image, may be blessed by a saintly monk or may be a more specific spirit to bring the wearer luck or to ward off misfortune. 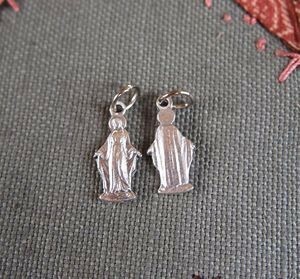 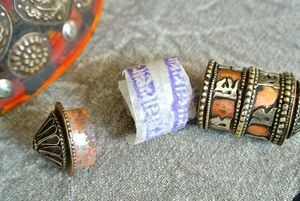 Milagros or miracles, found in many areas of Latin America, are used by people to petition saints for help or protection. 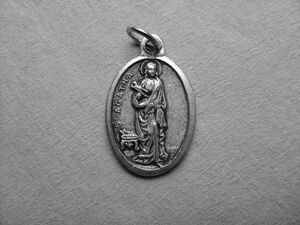 In many of the churches one can see wooden statues of various saints, the Virgin Mary, or of Christ. 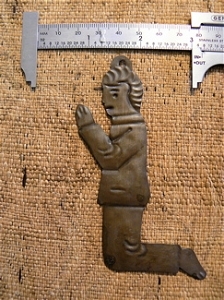 On thesse figures people often pin small metal images of arms, legs, animals, praying figures or other symbols. 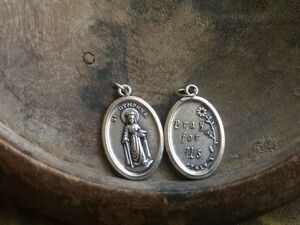 These milagros server to remind the saint of the person's prayers or to thank the saint for prayers that have been answered. 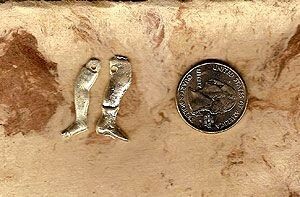 Each milagro is specially made for a unique purpose so the variety is enormous. 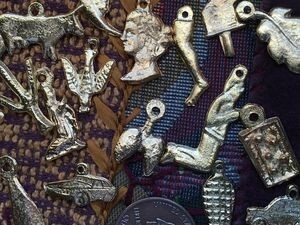 Sacred or altar objects, amulets and medals can be worn for protection.